12 Days of Adoption Specials! Join us as we celebrate the most wonderful time of the year with 12 days of adoption specials at both the HSOY Main Shelter and Petsmart Adoption Center. 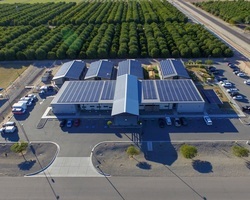 For the third quarter of 2018, the Humane Society of Yuma has received a total of $7,053.00 in Facebook donations. All of these came from the fundraisers (birthday and etc.) you have created for and from our Facebook Page and from the donations you have made through the "Donate" button on some of our posts. 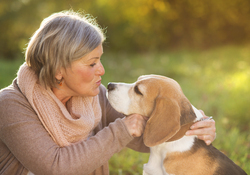 Are you over 70 1/2 and have an IRA? If you are 70 1/2 years old or older AND have an IRA (Individual Retirement Account) you are required to make a minimum distribution. 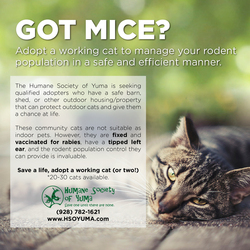 Did you know that there are benefits to giving your RMD to the Humane Society of Yuma? DONATE & WIN! 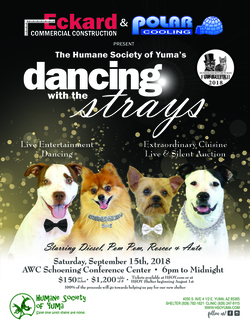 -- Get a chance to WIN a 2008 Saturn Ion, courtesy of our friends from 3:10 Auto Works and Diesel Works, for every can of dog and cat food item you donate for the benefit of Yuma's homeless pets and the 4 Paws Pantry Program. HSOY RECEIVED TWO LARGE ANIMAL SURRENDER CASES. 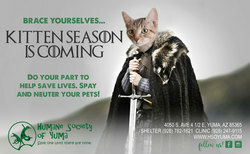 HSOY is asking the community to spay and neuter their pets. Share YOUR story! Help us win $100k! 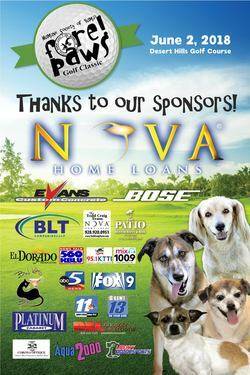 Special thank you to all of our sponsors of Fur Ball XII: Dancing with the Strays! 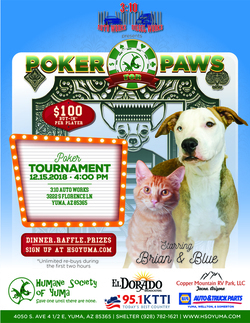 Thank you to everyone who came out in support of the Humane Society of Yuma! 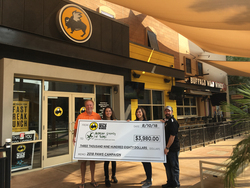 All July long come support the Humane Society of Yuma at Buffalo Wild Wings!